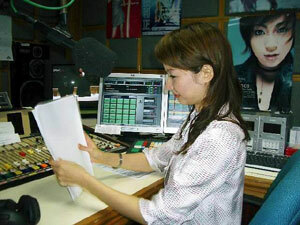 A professional radio host in Japanese, English and Mandarin-Chinese. 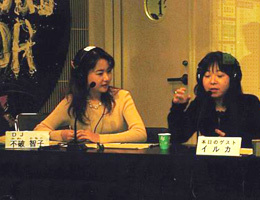 5 years of experience as a TV host at NHK. She has reported The World Cup, Kobe Luminarie, Tenjin festival in Osaka etc. The most memorable and successful reporting was done in the local Kansai dialect on the National Catering Programme with historical traditional Japanese restaurant owner of Hmasaku. 2005- Started learning Chinese at the national university of Singapore. 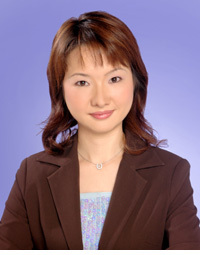 She was invited by the president of the Singapore international department as the news anchor in Japanese for 2 years, with her language skills in Chinese and English she was also appointed as the Singapore programme host for NHK, FMCOCOLO etc. in Japan. 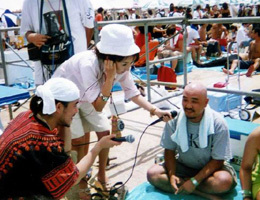 2007- Returned to Japan as a freelance media host in many different functions (corporate marketing and wedding ceremonies etc. 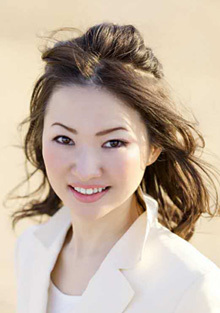 ), although she has moved back to Japan but the connection with Singapore was never stopped. 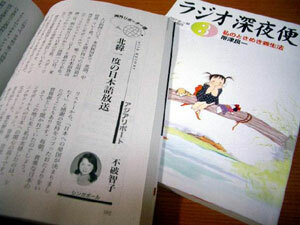 2010- Founded the Fuwa Tomoko’s Foreign Language School, Kobe, specialized in English, Chinese and Korean etc. 2012- Started the ‘The career skills Communications programme for students’ with the Kinki University. 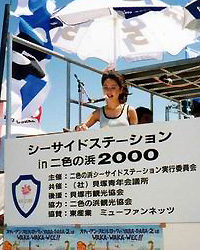 It was to improve the skills and future development for the younger generation of Japan. At the same time The Global Communication programme was held at her own language school to support the demand for improvement on interviews and communication skills. The Programme was in high demand from people with all sorts of background as well as interests from different corporations. The speaker at The International Sugar Association was scripted and trained by Cindy. She has always been dedicated in English teaching, she hoped her students to be confident in exchanging languages and experience with every nationalities in the world. 2015- Co-founded Glamour Shot Photography. They have participated the 80th Hong Kong Wedding Fair with the objective of promoting the KAWAII culture through the design ideas based on Japanese Kimono. 2016- On Public Kawanishi TV station she has introduced the history and culture of Kwanishi-city. She has learnt a great deal as a TV host and gained a lot of experience from the language school, photo shooting company and the pearl business. （香港贸发局香港国际钻石、宝石及珍珠展（中国語））It’s one of the biggest Jewelry show in the world, this has led her to a more frequent international involvement in high Jewellery business, especially to the neighboring countries like Singapore, Taiwan, Hong Kong and China. She thinks the Jewellery Fair has given her the opportunity of venturing the business world with her language skills, it’s always been chanllenging but fruitful.